229 people want to go here. 34 people have been here. The Hashemite Kingdom of Jordan and well known as The JK (short for The Jordanian Kingdom) or The HKJ (Hashemite Kingdom of Jordan), is a kingdom on the East Bank of the River Jordan in west-central Eurasia. It borders Saudi Arabia to the southeast, Iraq to the east, Syria to the north, the West Bank and Israel to the west, sharing control of the Dead Sea. Jordan's only port is at its southern tip, at the Gulf of Aqaba, which it shares with Israel, Egypt, and Saudi Arabia. 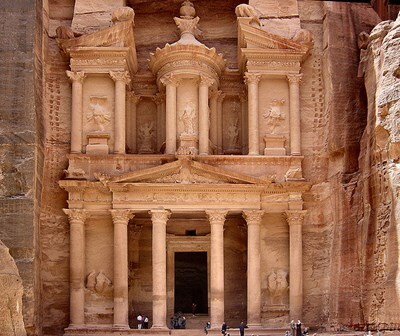 Amman is the capital and largest city of the Hashemite Kingdom of Jordan. A city of about 2 million inhabitants (2008 estimate), it is the country's political, cultural and commercial centre and one of the oldest continuously inhabited cities in the world. Amman is the administrative seat of the homonymous governorate. Amman is the capital and largest city of Jordan. It is the country’s political, cultural and commercial centre and one of the oldest continuously inhabited cities in the world."